Motocross is an exciting and very popular sport. For everyone that is going to participate in the sport, there are some very important components that they must learn about. The focus must be put on safety and training as well as accident prevention. There are many different safety factors that must come into play to make Motocross a safe activity. The choice of the size of the bike is going to be one of the important factors. Those riding smaller bikes on the track should never be riding along with the bigger bikes. Novice riders should stay within the skills category that is applicable to them. This includes both for racing and for practice. Pay close attention to the condition of the track. A dusty track is one that should be avoided particularly in racing. Vision is critically important always and the track being used should be wet down. Aside from riding the proper bike, there is a variety of safety equipment that should be worn always during Motocross riding. When it comes to the standard clothing it should be comprised of long pants and long sleeves that are made of good quality and durable material. Kneepads and knee braces are most valuable for helping to protect these areas. 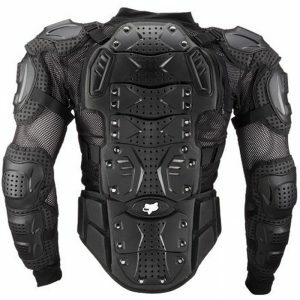 In addition to this body Armor and chest protectors should be included in the required equipment. Goggles are critically important for protecting the vision and the eyes. Steel toed boots that are properly fitted and of good quality are a necessity. Each one of these pieces of equipment is critically important but none as is important as the helmet. The helmet must be of the very best of quality and be properly certified for safety regulations. It should fit well and have a secure strap. The cliché that practice makes perfect is most applicable to Motocross racing. It is also appropriate for making sure that one remains safe while enjoying this sport. Aside from the training for the necessary skills for the type of motocross activity, one is going to be involved in there are other components that belong to this category. It should become a habit to check the equipment that is going to be used including the safety equipment each time. Warming up the body prior to the ride is also part of a training regime. Prevention is something that must be practiced each time a rider is taking to the trails or to the tracks. It is easy to form bad habits in any sport, but with Motocross having the level of danger to it that it has bad habits can be life threatening. Reviewing the track that is going to ride on helps to familiarize the rider with what they are going to be up against. For those that are new to the sport, they should have the proper lessons provided by inexperienced Motocross riders. Motocross riding is an exciting sport but one that must be taken seriously and there is no room for being irresponsible when participating in this sport. By doing so is not only putting the rider at risk but all the others that are participating in the event. The more effort that is put into keeping this sport safe the more it can continue to be enjoyed.